Major reports and publications by CLD. In 2017, the Freedom of Information Advocates Network (FOIAnet) developed a methodology for parallel civil society reporting on State compliance with Sustainable Development Goal Indicator 16.10.2, which assesses the number of countries that have adopted and implemented access to information guarantees. The Centre for Law and Democracy developed this synthesis report of the FOIAnet methodology as applied by civil society groups in five countries. The Centre for Law and Democracy, in collaboration with Transparency Maroc, Palestinian Center for Development and Media Freedoms and Maharat Foundation (Lebanon), produced this report which evaluates the transparency and consultation opportunities at the League of Arab States and compares them to opportunities for civil society engagement in other inter-governmental organisations. The Centre for Law and Democracy created a digital security guide for journalists in Myanmar. The Centre for Law and Democracy prepared a detailed legal analysis of the problematical provisions to discuss reform of laws which restrict freedom of expression online, including the Electronic Transactions Law, Official Secrets Act, Telecommunications Law, News Media Law and certain provisions of the Penal Code. The Centre for Law and Democracy has assessed the compliance of ten Canadian public authorities with Sustainable Development Goal (SDG) Indicator 16.10.2, which is: “Adoption and implementation of constitutional, statutory and/or policy guarantees for public access to information”. The methodology behind the assessment was developed by the Freedom of Information Advocates Network (FOIAnet) and assessments are being conducted by different FOIAnet members in a number of countries around the world. CLD has produced a report summarising the results of the assessment, Canada: Civil Society Parallel Assessment of Compliance with Sustainable Development Goal Indicator 16.10.2. For many years now, an apparent conundrum has lurked just beneath the surface among European jurisdictions. In the Common Law countries – namely the United Kingdom and Ireland – full court decisions, including the names of the parties, are generally accessible to the public. In the rest of Europe, governed by the civil law, however, such decisions are normally published only with the names of the parties redacted. The apparent rationale for the former is the idea of open justice, while in the latter group of countries the idea of personal data protection reigns supreme. The Centre for Law and Democracy (CLD) has prepared a Submission on the applicability of the right to information to intergovernmental organisations (IGOs) in response to a call for input from the UN Special Rapporteur on the Right to Freedom of Opinion and Expression. The Submission argues that IGOs are bound to respect human rights, including RTI. Currently, relatively few IGOs outside of the international financial institutions have adopted policies on RTI, but they are coming under increasing pressure to do so. The Centre for Law and Democracy (CLD) prepared a Note on the draft co-creation guidelines prepared by the Open Government Partnership (OGP). The draft guidelines aim to strengthen the OGP’s current consultation requirements. The Note recognises the importance of this objective and the contribution the draft guidelines make to achieving it, while also putting forward a number of recommendations to further strengthen the guidelines. The Centre for Law and Democracy, in collaboration with the Arabic Network for Human Rights Information (ANHRI, Egypt), the Centre for Internet and Society (CIS, India), the Centro de Estudios en Libertad de Expresión y Acceso a la Información (CELE, Argentina), OpenNet Korea and researchers from the University of Ottawa and the University of Toronto, put together a report on human rights and the responsibilities of private sector online intermediaries, along with recommendations for tech companies regarding policies and practices that safeguard rights. UNESCO and the Centre for Law and Democracy released a Discussion Paper, Supporting Freedom of Expression: A Practical Guide to Developing Specialised Safety Mechanisms, which provides direction and support to those who are thinking of putting in place national safety mechanisms. Such mechanisms are proving to be an indispensable means of protecting journalists and others who are attacked for exercising their right to freedom of expression, in what has been termed ‘censorship by killing’, as well as addressing the problem of impunity for such attacks. The Report of the International Mission to Nepal for Promoting Freedom of Expression and Safety of Journalists outlines the findings of the Nepal International Media Partnership (NIMP), which visited Nepal from 19 to 23 April 2015. The primary goals of the Mission were to assess the media freedom situation in the country and to provide support to the then ongoing UNPFN/UNESCO project, Increasing the Safety of Journalists. This Briefing Note was prepared as background for a workshop in Tunisia organised by the Centre for Law and Democracy (CLD) working with partners the Arab Network for Human Rights Information (ANHRI), International Media Support (IMS) and Vigilance. The Note is also available in Arabic. The workshop also produced a Statement setting out a number of clear standards regarding the regulation of journalism, which is available in English, French and Arabic. This Submission by the Centre for Law and Democracy to the UN Special Rapporteur on Freedom of Opinion and Expression notes the importance of encryption and anonymity tools to online speech and sets out five key Principles which should guide future discussions on these issues. The Principles include a significant need for transparency around surveillance measures, robust procedural oversight over intelligence and surveillance authorities, controls on the export of advanced surveillance technology to repressive States and the need for surveillance activities to be limited and targeted and, in particular, to strike an appropriate balance between security needs and the rights to freedom of expression and privacy. Centre for Law and Democracy drafted this set of Briefing Notes on key freedom of expression issues. The Notes focus on twelve themes, such as the regulation of journalists, criminal content restrictions on expression and digital rights, and are designed to provide comprehensive introductory information on the subjects. Although the Notes are intended to be accessible to all audiences, including those with no experience or training in law, they provide a summary of key standards which will also be useful to more advanced readers. Each Note also contains a section at the end on further resources, for readers who want to probe the subject more deeply. CLD and Global Partners Digital published “Travel Guide to the Digital World — Surveillance & International Standards“, by CLD Legal Officer Michael Karanicolas. The Guide explores how online surveillance takes place and how it stacks up against international human rights standards, particularly in terms of privacy and freedom of expression. Drawing on international standards and better practice legislation from around the world, the Guide also presents a set of standards for regulating and conducting surveillance in a way which is consistent with human rights. It concludes with a discussion of emerging debates, and how the questions around online surveillance have altered the global discourse around human rights on the Internet. These Notes were prepared for the workshop: Toward Media Regulatory Reform in the Middle East and North Africa: Workshop on Criminal Restrictions on Media Content. The event – which brought together experts from across the region in Beirut, Lebanon, from 24-25 April 2014 – was hosted jointly by CLD, International Media Support and Maharat Foundation. The Notes discuss major issues and international standards in five key thematic areas, namely defamation, hate speech, national security, blasphemy and privacy. The Centre for Law and Democracy (CLD), working with Democracy Reporting International (DRI), published a Briefing Paper on International Standards on Transparency and Accountability. The Paper is one of a series which focuses on the main foundations of democracy. UNESCO published this book prepared by the Centre for Law and Democracy (CLD) which focuses on international standards govenring the regulation of community radio as well as the legal framework for this in some thirty countries from different regions of the world. It also includes a set of recommendations on better practice regarding the regulation of community broadcasting. Specialist right to information organisations Access Info Europe and Centre for Law and Democracy led on the drafting of a set of recommendations for progressive improvements to the right to information (RTI) which should be introduced by governments participating in the Open Government Partnership. On Right to Know Day 2013, Access Info Europe (Spain) and the Centre for Law and Democracy launched a report providing an analysis of the results and trends in the global RTI Rating, which assesses the legal framework for the right to information (RTI) in every country in the world which has adopted a national RTI law. As part of the Open Government Partnership process, Canada hosted an open consultation on its progress. CLD submitted a report evaluating the scope and ambition of Canada’s commitments and the government’s success in implementing them. The International Federation of Journalists (IFJ) and the Centre for Law and Democracy (CLD) launched a Handbook on International Standards and Media Law in the Arab World. The Handbook sets out international standards regarding media freedom and assesses the extent to which the legal regimes governing the media in Arab countries conform to those standards. It is designed to support journalists and others in the Arab world in their struggle for press freedom and media law reform in the region. The Report is also available in Arabic. This major report examines the current copyright rules from the perspective of freedom of expression. The Report finds that the rules signally fail to respect basic freedom of expression standards and proposes dramatic changes to bring copyright into line with its core purpose of promoting expression. Changes to the distinction between moral and economic rights, the duration of copyright protection and the framework for dealing with derivative works are among the proposals. This paper, drafted for the UN Special Rapporteur on Freedom of Opinion and Expression, explores the meaning of the right to truth and its relationship with freedom of expression. This Report presents nine guidelines for assessing Open Government Partnership (OGP) Participating States’ action plans. The development and implementation of action plans is central to the whole OGP project: they contain the concrete commitments made by Participating States and hence the standards against which performance is measured. The guidelines are designed to be used by local stakeholders to assess the quality of country action plans. CLD drafted a submission on freedom of expression and the right to information as a stakeholder submission to the UN Human Rights Council’s Universal Periodic Review (UPR) process on Canada. This Report examines the strength of RTI reform in the OGP, noting that only 30% of Action Plans submitted by countries contain pledges to substantially improve their RTI framework. 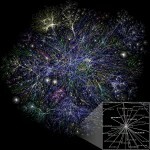 The Centre for Law and Democracy published a major Report examining the Internet from the perspective of human rights. It analyses the critical role that the Internet plays in the actualisation of fundamental human rights, particularly the right to freedom of expression, and concludes that there is a human right of access to the Internet. The Report also examines the implications of the right to freedom of expression in terms of regulation of the Internet. 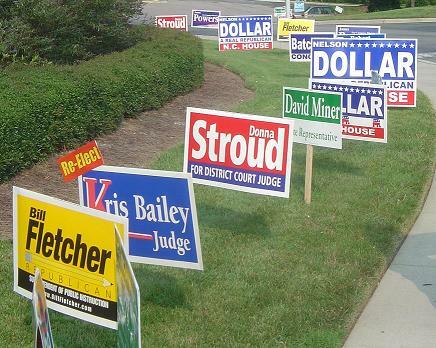 CLD published a comparative analysis of the rules relating to paid political advertising, with a specific focus on elections, Regulation of Paid Political Advertising: A Survey. The analysis was compiled at the behest of members of Indonesia’s Press Council, which is faced with the issue of how to ensure democratic media participation in elections. 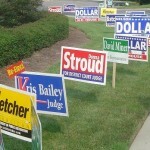 The Analysis examines different country frameworks for regulating political advertising during election campaigns, and evaluates the strengths and weaknesses of the different approaches. Although no single regulatory formula can be said to be a model, and different cultural contexts may support the adoption of different systems, a major conclusion of the analysis is that countries tend to loosen restrictions over time, and that once moneyed interests are allowed to exert a significant interest in the electoral process it is extremely difficult to counteract this. As a result, a good lesson for countries, such as Indonesia, that are in the process of establishing regulatory frameworks is to err on the side of more stringent regulations to start with, since politically it is easier to relax these regulations than to tighten them. This comparative Study on the regulation of broadcasting to protect children was launched at a workshop organised by UNESCO and the Brazilian Ministry of Justice. The Study analyses international standards in this area and compares the practice of six democracies with the system in place in Brazil. It concludes that the Brazilian system is largely in line with international standards, but two problem areas are the regulatory role played by the Ministry of Justice, a government body, and the undue complexity of the system. 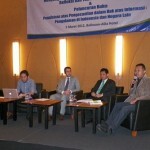 At a major conference in Jakarta on March 5, CLD and Yayasan 28 launched a publication entitled Implementation of the Right to Information: An Assessment of Three Indonesian Public Authorities. The publication explores the steps that have been made by three agencies, the Ministry of Health, the Ministry of Education and the National Police Headquarters, in implementing their RTI obligations, and contrasts these efforts with international standards. It was written by Kristian Erdianto and Dyah Aryani of Yayasan 28 and CLD’s Legal Officer Michael Karanicolas. The publication is available in English as well as in in Bahasa Indonesian. CLD and the Indonesian Center for Environmental Law (ICEL) have launched a new publication entitled Interpretation of Exceptions to the Right to Information: Experiences in Indonesia and Elsewhere. The book explores approaches in Indonesia to five exceptions to the right to information, for privacy, internal information, law enforcement, commercial interests and natural resources, and contrasts them with international standards. The work was authored authored by Dessy Eko Prayitno (ICEL), Henri Subagiyo (ICEL), Josi Khatarina (ICEL), Prayekti Murharjanti (ICEL), Rifqi S. Assegaf (ICEL), Toby Mendel (CLD), Michael Karanicolas (CLD). The book is available in English as well as in Bahasa Indonesian. In recent years, the openness of international financial institutions (IFIs) has improved considerably. An ongoing problem area, however, is the overbroad regimes of exceptions in IFI transparency policies and, in particular, the exceptions relating to internal deliberations and third-party commercial information. A new report by CLD – Openness Policies of the International Financial Institutions: Failing to Make the Grade with Exceptions – examines how these exceptions are dealt with at the national level, contrasting that with the much more secretive approach of the IFIs. The report, which CLD produced as a member of the Global Transparency Initiative (GTI), explores in detail the way each of the two exceptions have been interpreted at the national level in better practice jurisdictions. It then contrasts this with the policies of the IFIs, thereby highlighting how the IFI approach is in almost every case overly broad, often by a wide margin. The GTI has always maintained that the IFIs, as organisations which are supported by public money and which perform public functions, are subject to the same disclosure obligations under international law as other public authorities. CLD supported Indonesia’s SET Foundation in preparing and publishing this Report on Indonesia’s draft State Secrecy Bill entitled, “A Burst of Sunlight but Darkness Looms”. The Report was prepared by Agus Sudibyo and edited by CLD Legal Officer Michael Karanicolas with support from Toby Mendel. The Centre for Law and Democracy released a Commentary on the Charter of Human Rights and Principles for the Internet, providing a detailed analysis of the implications of a range of fundamental human rights for the Internet. The Charter itself was prepared by the Internet Rights and Principles Coalition, which in turn arose out of the Internet Governance Forum (IGF), a tri-partite gathering bringing together civil society, governments and the commercial sector to discuss regulatory issues relating to the Internet. The Commentary reviews the implications of a wide range of human rights for the Internet, including rights of systematic relevance, such as non-discrimination, freedom of expression and privacy, and more thematic rights, such as the rights to education, culture and work. This Note is a legal analysis of the cases of five Burmese video-journalists which discloses flagrant breaches of human rights. The analysis found widespread abuses of the rights to freedom of expression, freedom of association and freedom from torture. 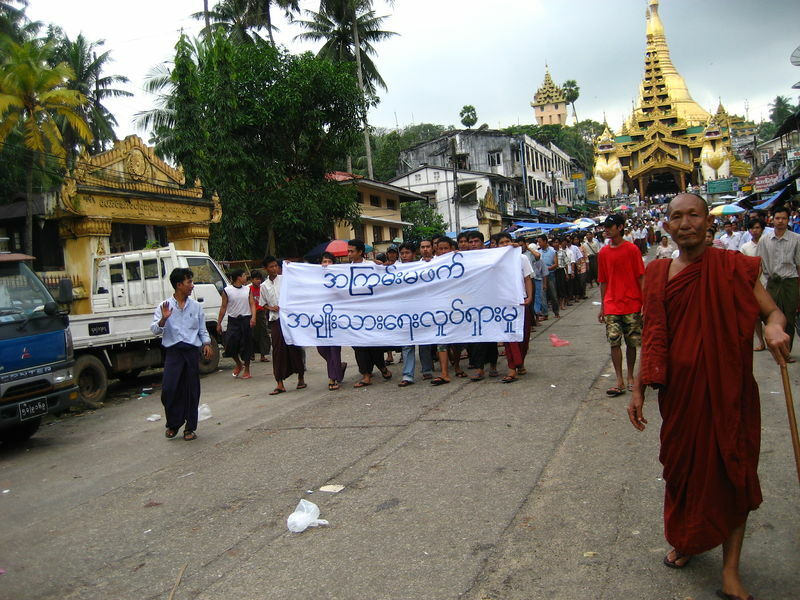 The violations result from both the Burmese government’s abusive application of laws that restrict freedom of expression, and their capricious application of broader legislation to target political opponents. CLD prepared this discussion of the June 2011 Joint Declaration by the Four Special International Mandates for Protecting Freedom of Expression on Freedom of Expression and the Internet. Almost 90 countries around the world have enacted access to information (ATI) legislation, and in many of these countries, reforms and amendments are either being considered or have been passed. However, even minor adjustments to the legal framework around ATI laws can have substantial impact on how the law is implemented and used. In order to address the challenges of access to information reform, the World Bank Institute has recently published this working paper by Toby Mendel, Executive Director of Centre for Law and Democracy. The paper looks at the main substantive issues ATI reform attempts have targeted and what legal forms they may take. It also examines the role different actors—civil society, the media, oversight bodies, parliaments, and political leaders—can play in helping support the adoption of reforms that promote openness and defeat those that erect barriers. It is legitimate for states to exempt information whose release would be prejudicial to national security from their disclosure laws. But in order to insure that this exemption is not abused it is important to develop an acceptably narrow definition of what constitutes national security. To this end, the Centre for Law and Democracy has produced a paper examining how national security should be defined in the context of information disclosure. The paper was produced as a contribution to the “Principles on National Security and the Right to Information” currently being developed by the Open Society Initiative. 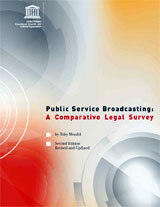 The Centre for Law and Democracy is pleased to announce the publication of the second edition of “Public Service Broadcasting: a Comparative Legal Survey”. This edition, authored by CLD’s Executive Director Toby Mendel, explores the legal and regulatory systems governing public service broadcasters in eight different countries around the world. The book examines how different democracies protect the independence of public broadcasters while providing them with the resources necessary to fulfill their mandates. The publisher of the Winston Report, a publication of The Canadian Association of Professional Access and Privacy Administrators (CAPAPA), asked CLD for a piece describing its structure, focus and work. This piece was published in their Autumn 2010 edition. Presented at the 21st International Congress of Historical Sciences, held in Amsterdam in August 2010, on a panel on History and Human Rights, this paper explores the differences between legal and self-regulatory rules on defamation, privacy and racist speech. It draws on the relatively developed self-regulatory rules in the area of the media, drawing some conclusions for self-regulation by historians. Prepared for the Winston Report, a publication of The Canadian Association of Professional Access and Privacy Administrators (CAPAPA), this editorial outlines the key holdings in the June 2010 decision of the Supreme Court of Canada finding a right to access information held by public bodies as part of the general guarantee of freedom of expression in section 2(b) of the Canadian Charter of Rights and Freedoms. This in-depth Report, prepared jointly by eight organisations, builds on the UNESCO report on the Media Development Indicators, extending the analysis beyond the traditional media to the digital communications environment. It applies the same categories of analysis as the MDIs – namely the regulatory framework, diversity, media and democratic discourse, capacity building and infrastructure – to digital communications. This review discusses the Joint Declaration adopted on 3 February 2010 by the four special IGO mandates for protecting freedom of expression – the UN Special Rapporteur on Freedom of Opinion and Expression, the OSCE Representative on Freedom of the Media, the OAS Special Rapporteur on Freedom of Expression and the African Commission on Human and Peoples’ Rights (ACHPR) Special Rapporteur on Freedom of Expression and Access to Information. This paper outlines the main issues raised by presenters on the first plenary panel of UNESCO’s main World Press Freedom Day event in Brisbane, Australia. Key themes addressed include the transition from freedom of information to a right to information, the implications of a right to information for access to information legislation, persistent problems of implementation of the right to information and the special role of the media in promoting this key right. This document provides an outline of the key elements of a legal framework for freedom of expression and the media which is consistent with international standards. It was prepared to provide guidance to legislators, policy-makers and civil society groups in Kyrgyzstan in the aftermath of the April overthrow of the government, which gave rise to a window of opportunity for legislative reform. It is broken down into content and media regulation issues, and sets out the rules in various different areas under these headings. This short paper on the history of the development of access to information from governance reform to human right was prepared by Toby Mendel, Executive Director, CLD, for UNESCO’s Quito Office. 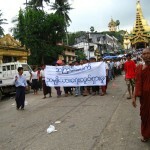 They presented the paper as part of their regional celebrations for World Press Freedom Day, 2010. This paper is the text of a speech given by Toby Mendel, Executive Director of CLD, to UNESCO’s Intergovernmental Council of the International Programme for the Development of Communication (IPDC). It was based on a report authored by Mendel and published by UNESCO which applied the Media Development Indicators to the Maldives. The paper describes the process of applying the Indicators, and their strengths and weaknesses, drawing some conclusions for future assessment exercises. This paper, which was prepared as a background document for meetings by the UN Special Rapporteur on Freedom of Opinion and Expression, provides a comprehensive analysis of the scope and nature of restrictions on freedom of expression under international law, posing questions for further thought. It analyses, among others, the scope of the right, including positive obligations, what constitutes an interference with freedom of expression, the three-part test for restrictions on this right, and positive obligations to restrict freedom of expression (such as hate speech rules). This paper, published as IRIS 2010-5:1/1, reviews the Joint Declaration adopted on 3 February 2010 by the four special IGO mandates for protecting freedom of expression – the UN Special Rapporteur on Freedom of Opinion and Expression, the OSCE Representative on Freedom of the Media, the OAS Special Rapporteur on Freedom of Expression and the African Commission on Human and Peoples’ Rights (ACHPR) Special Rapporteur on Freedom of Expression and Access to Information. The Declaration was adopted with the assistance of CLD. This paper is a contribution to a book published in Macedonia called the Black Book of Shame, which focuses on attempts by the powerful to silence the media and others using legal tools in the post-communist period. The paper outlines international standards regarding hate speech, with a particular focus on the constitutive elements of a crime of hate speech which is compatible with freedom of expression guarantees. This Report, which followed on from a mission to Mongolia in December 2009 in collaboration with the Asia-Pacific Institute for Broadcasting Development and the Mongolia National Broadcaster, provides a wide-ranging assessment of regulatory needs in relation to the media in Mongolia. It addresses, among other things, the need for a general broadcasting law, the situation of the public broadcaster, threats to independence of the media, the need for a right to information law and the problem of criminal defamation provisions. This Study, produced by Toby Mendel, Executive Director of CLD in 2006 for the UN Special Advisor on the Prevention of Genocide provides an in-depth analysis of the different international law rules on incitement to genocide and racial hatred, comparing the different rules and probing the way that the concept of incitement has been treated under both of them.